Lumina is pleased to announce the placement of David Williams at Keshet UK, the independent production company established in 2012 as the first global outpost under the Keshet International banner. David has been appointed to the newly-created role of Creative Director, Non-scripted, and will be tasked with increasing Keshet UK’s slate of non-scripted commissions following its ITVBe workplace dating series When Do You Get Off? 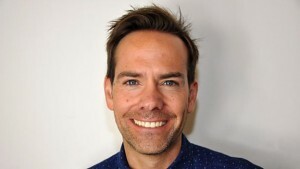 David Williams was previously Creative Director of BBC Entertainment North where he focused on developing a range of new Entertainment and Factual Entertainment programmes across all BBC channels, alongside working on a number of returning series such as Dragons’ Den. Commissions included long running BBC1 daytime series Call the Council; business series Digby Jones: The New Trouble Shooter and observational documentary Demolition: The Wrecking Crew for BBC2; the ambitious social experiment Invasion of the Job Snatchers and Junior Paramedics for BBC Three. Before joining BBC Production, David was a Commissioning Editor in Entertainment at Channel 4, greenlighting Made In Chelsea, Tool Academy and Playing It Straight, as well as leading production for all Big Brother and Celebrity Big Brotheroutput. Prior to that he worked at Granada TV on series such as Stars In Their Eyes and You’ve Been Framed, and at Endemol on shows including The Games and Space Cadets. Keshet UK develops, produces and coproduces original scripted and non-scripted programmes for UK and international broadcasters, as well as making local versions of Keshet formats.